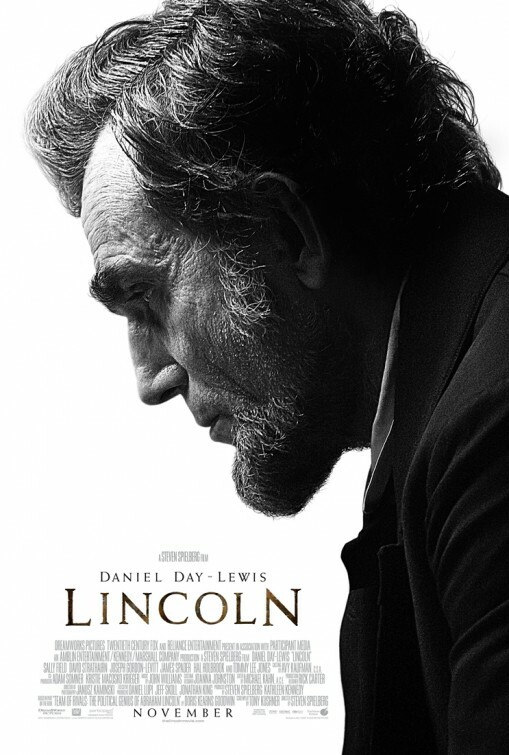 Welcome to a seasonal weekly feature here at Movies with Abe, Wednesday Oscar Watch with Abe. It’s a bit early to be able to accurately predict the eventual Oscar nominees, but around this time, plenty of likely contenders are being released. I’ll be looking every Wednesday at the awards chances for all of the films released the previous week. Additionally, to make up for lost time, I’ll also be taking a look at the films released earlier in the year, one month at a time. Chime in with your thoughts on the Oscar chances for these films in the comments section. Also, if I’ve missed any films from the previous months, please say so! This blockbuster from Steven Spielberg is sure to go far, especially since he’s coming off of a hit last year, “War Horse,” which managed a Best Picture bid. This year, he’ll have at least one acting nod to go with it, which would be two-time winner Daniel Day-Lewis. Tommy Lee Jones is a good bet in the supporting actor category too, as is Sally Field in the supporting actress race. Spielberg should place in the Best Director race unless backlash emerges later on in Oscar season. Best Adapted Screenplay, Best Original Score, Best Film Editing, Best Cinematography, Best Costume Design, and Best Art Direction are all good bets, in that order. It would make sense for the latest James Bond hit to contend in the Best Sound, Best Sound Editing, and Best Visual Effects categories, and maybe even the Best Film Editing race. History suggests it won’t happen, however, since the last Bond movie to contend at the Oscars in any category was “For Your Eyes Only,” in 1981. That means the last ten films – almost half the entire franchise – have come up empty. I wouldn’t bet on this one breaking the trend. This sci-fi remake didn’t receive terribly favorable reviews, but it’s worth noting that the 1990 original on which this film is based won a special achievement award for Best Visual Effects and received two additional nominations, for Best Sound and Best Sound Editing. I doubt the same will happen this time around. The Bourne franchise has a somewhat spotty track record with Oscar voters, with the first two films being snubbed altogether and the third winning all three of its technical bids. This fourth, Matt Damon-less entry was the least well-reviewed of the series, and I suspect that its best bet will be a Best Sound Editing nomination, if that. This summer comedy is on here because it stars Meryl Streep and Tommy Lee Jones, two clear Oscar favorites. Streep won last year and will probably settle for a Golden Globe nomination this time around, and Jones will likely be recognized instead for “Lincoln.” It’s always possible that they could sneak in like Diane Keaton in “Something’s Gotta Give,” but I doubt it. This tiny summer thriller earned raves for supporting actress Ann Dowd, who will need to win some precursors in order to scare up enough support for a nomination. I’m not convinced it will happen. David Cronenberg’s latest didn’t go over too well upon its release, and it’s not likely to earn much Oscar traction. His previous film, “A Dangerous Method,” nabbed a Golden Globe nomination, and the two before that, “Eastern Promises” and “A History of Violence,” each got an acting nod and the latter also earned a screenplay mention. Those were more normative, mainstream films, however, and I think that’s all Oscar voters can tolerate of Cronenberg. This animated hit is pretty much a sure thing in the Best Animated Feature category, a race that hasn’t been predictable in the past years. This little movie didn’t arrive loudly enough to merit consideration for Frank Langella’s lead performance, but he was a strong contender in 2007 for “Starting out in the Evening” and then a nominee the next year for “Frost/Nixon.” He’s the kind of performer who could make it even if practically no one saw his film.